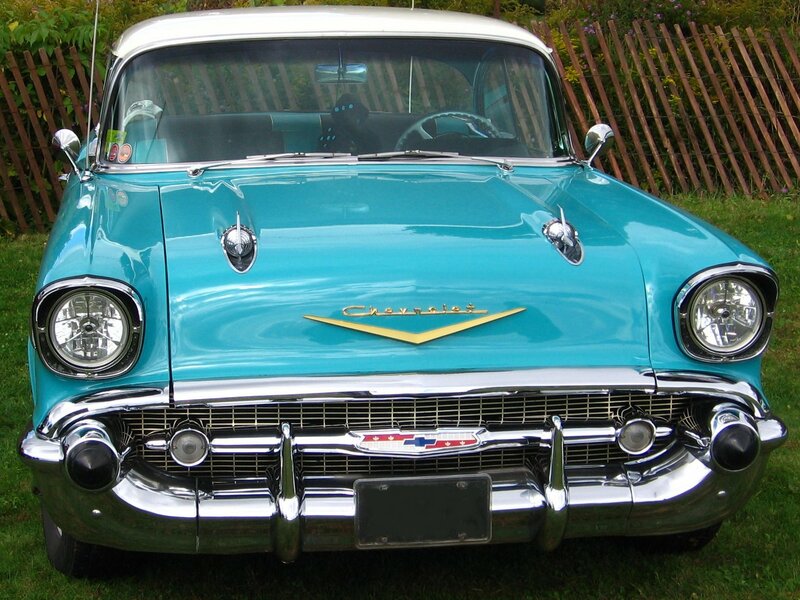 It was “surf green” Chevrolet Bel Air made in the year 1957. I paid a whopping $300 for it when my barber offered it to me in 1967. I was working as a printer and had saved up enough money to pay him cash. It was a beauty with angelic-like fins at the rear of the vehicle, making it one of the most distinguished cars ever made. There were no seatbelts, no console. The front seat looked like a converted loveseat, you know — like the smaller version of a couch. The back seat was even more spacious, although I didn’t use it much. It offered knobs to help roll up the windows and knobs for you to increase the volume on your AM radio station (WIBG). The Chevy also provided small windows called vents on both sides of the car. The brakes were shot. But who cared . . . It was cool driving, man, real cool! I’d pick up members of my old singing group, a Doo Wop group called the Five Jaunts and we’d find a spot where we would croon to our hearts’ content without neighbors calling the cops on us along North Philadelphia street corners. Two of the singers were from Parkwood Manor in the Far Greater Northeast, and we’d meet up with them at the El stop (Frankford Elevated Line) which was almost midway in order to harmonize. I kept a glass bottle of Listerine in the glove compartment of the car. I’d use it before “tuning up” with the fellows. I’d joke with ’em, wriggling my nose and making a face when they opened their mouths and suggesting they take a few hits from the bottle. For the life of me, I can’t remember what happened to the car when I got drafted a year later. I’d love to have it today though. What a treasure. What a classic! This entry was posted in meditation, My Life and tagged play, Reflections. My Dad had one the exact same color. Cool. That makes me happy! I have never been retweeted before! My ’57 Chevy did it for me. My PopPop had the same car as the one in your photograph. And yes, it was the coolest ever! Great memories. They don’t make ’em like they used to, my friend. If I only had the foresight to hold onto the car I’d be driving it down Broadway today! You made me smile as broadly as the grill on an old Chevrolet! It would be worth so much money if you had it today, right? Wow. I know nothing about cars, but I do remember that dark green bottle of Listerine! Haha!! Total flashback!! I never knew it would remain so popular after all of these years. My boyfriend had one, black and white. I was the envy of all my girlfriends. I like the color of yours better. I bet you say that to all us old ’57 Chevy owners. Thanks for the input. I’m wondering if you still see that boyfriend of yours. I lost touch with mine but still see some of the guys I used to hang out with back then.